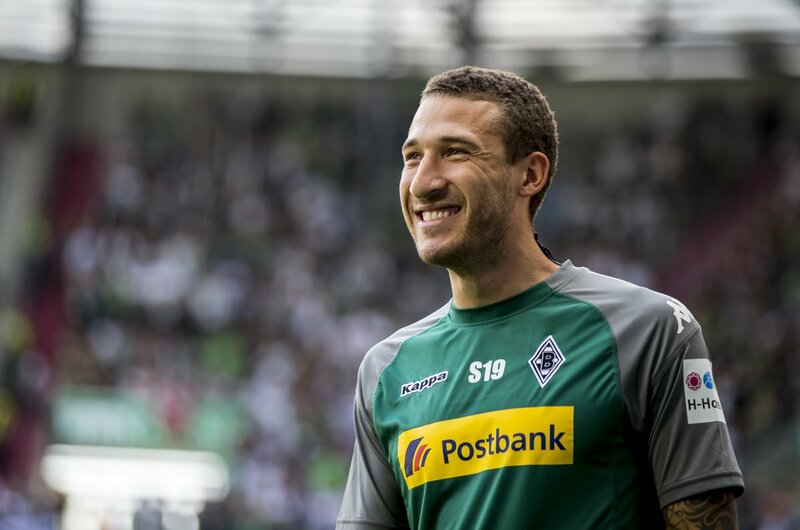 If you forgotten about Fabian Johnson, the other big American in the Bundesliga, I forgive you. 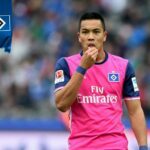 In the age of Christian Pulisic, it’s easy to forget about the likes of Johnson, Timmy Chandler, John Anthony Brooks, Bobby Wood, and other Americans toiling in the Bundesliga. But it’s time to remember Johnson, who turns 30 in December and will be at his career peak when the World Cup rolls around next summer. These next 12 months will be Johnson’s last hurrah with the US national team, as he has indicated that he’ll likely retire from international football after the World Cup. During the past year, Johnson’s name has slipped under the national team radar, due to the coaching transition from Jürgen Klinsmann to Bruce Arena and Johnson’s omission from the Gold Cup roster, but most importantly, Johnson’s muscle tear injury in March during an Europa League match against Schalke 04. The injury caused Johnson to miss the huge World Cup qualifier win against Honduras and draw against Panama in March. Missing these two matches meant that Johnson didn’t get the opportunity to meld into Arena’s formula for his best US XI. The injury also forced Johnson to miss eight matches during the second half (the Rückrunde) of the 2016-17 Bundesliga season for Borussia Mönchengladbach. He only appeared in the final two Bundesliga matchdays. It’s a pity, because prior to his injury, Johnson was playing his best football of the season, contributing key passes, goals, and assists as the fulcrum of Gladbach’s attack. Naturally, after the injury and recovery, Johnson simply looked like a player shaking off the rust after a long layoff—hence his sporadic contributions to the US team since the early spring. However, Johnson also had a difficult winter health-wise, missing time from December through January with achilles issues. So it’s hard to imagine that Johnson ever achieved full health last season. At least Johnson’s Gold Cup omission was by choice, since Johnson and Arena apparently have a “deal” worked out in which Johnson will only play in “big matches” for the US. Obviously, the Gold Cup didn’t make the “big matches” cut for him—nor did it for many other US stalwarts. It makes sense: Johnson probably needed the additional recovery time, especially with a new domestic season starting this fall, and the World Cup looming next summer. Arena needs to keep his most “senior” squad members fresh as apple pie for Russia and he needs Johnson as one of his starting wingers. As Johnson’s career peaks, he seemingly has found his most effective role: attacking (left) winger. Indeed, the older he gets, the further up the pitch Johnson roams, it seems. Although he’s always been very versatile—as a fullback, holding midfielder, and winger on either the right or left—he’s finally settled into the left flank. However, even in this more defined role, Johnson certainly isn’t dogmatic about sticking to the left flank. He’s still a roamer, especially during fluid stretches of play, like counter-attacks and quick turnovers. Basically, any time when playing on the run is involved. Johnson excels in these scenarios. As he’s aged, Johnson’s decision-making on the run has become excellent; he’s fantastic in opening his body to the ball, receiving the pass, then somehow holding onto the ball through traffic. This ability serves him very well on counter-attacks and in playmaking of all kinds—you can count on him to deliver key passes. In the context of the US team, Johnson is a necessary foil to Pulisic, who increasingly has been more heavily marked and double-teamed by opponents, especially in CONCACAF play. The US needs a player with Johnson’s playmaking abilities to complement Pulisic from the other side of the pitch. Moreover, Johnson’s intelligence on the counter is the kind of thing that can tip a closely contested international match. Let’s all say our prayers that Michael Bradley’s longballs will find him. And that both Pulisic and Wood will be running alongside Johnson on the counter. Of course, Johnson has his liabilities. For starters, he’s never been a great, or even good defender, aside from his pressing abilities, for which we can all thank old Gladbach boss Lucien Favre. Johnson is weak in the air and probably just below average on set-piece defending or during key 1-v-1 defending situations. In other words, opponents can get around Johnson. However, these defensive weaknesses are relative, given that Johnson plays in the Bundesliga, which is famous for its speed, tactical innovation, and pressing. Put Johnson on an MLS side, and I’m guessing his defending would be just fine. Anyhow, Johnson is a winger, an attacker, and he’s told Arena as much. At 29, Johnson knows what he is on the pitch. The US can always use such surety, which, in this case, has been sharpened by a long career in Europe that includes experience in the 2.Bundesliga, the Bundesliga, the Champions League, and the Europa League—especially now that World Cup qualification hangs in a more precarious spot following a 2-0 loss to Costa Rica. Now, more than ever, it’s imperative that they get Johnson more involved. In the lead up to the 2018 World Cup, spare a moment from your Premier League binge watching and switch over to to see if Johnson and the Foals are playing. Enjoy him on the counter. Enjoy him in the final third. And see a player who will be important for the US in Russia next summer. 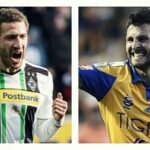 What’s gotten into André-Pierre Gignac and Fabian Johnson? Congratulations, you are the US national team coach!